Sherry Davis is a Music Heritage Preservationist specializing in the advocacy of Wolfgang Amadé Mozart. Her authorship of The Chronicles of a Modern-Day Mozartian has been instrumental in encouraging a broader appreciation and understanding of his life and music. From interviews with leading industry professionals to world premiere exclusives, she has continued to fill its pages with articles designed to inform, inspire and connect Mozart's audiences around the world. Sherry began her authorship of The Chronicles of a Modern-Day Mozartian in celebration of Mozart's 250th birthday anniversary. The intention was to create a platform where she could bring a readership closer to Mozart using her own experiences with the music and history as a conduit for establishing rapport and a sense of community. Through her newfound voice, Sherry began to re-imagine the way in which Mozart was communicated, shared and defined by a public familiar with his name primarily through stigma and mythology. By enhancing the history through a change in presentation to create accessibility, excitement and relevance, Sherry connects audiences to Mozart through engaging narrative, historical insight and playful banter. From scholarship to popular culture, she brings Mozart into perspective through the prism of the 18th Century with a flourish of contemporary bearing, humor and charm. Sherry subscribes to a philosophy that is deeply rooted in reinforcing enthusiasm for Mozart's immortal themes of love, enlightenment and fraternal union. Mozart fathered the idea of culture as a unifying force and this magnetism is ever-present in her ambition. Through her education and interdisciplinary experience in the humanities, social sciences and communication design, Sherry leverages a comprehensive and unique approach to advocating Mozart's music and biography to both specialized and general audiences. From managing a film theatrical release to coordinating a regional television program, facilitating outreach campaigns for opera in cinema and serving on a committee to restore an historic landmark, Sherry has become a capable advocate of Salzburg's native son. Full of new and exciting ways to present Mozart to audiences, her work is recognized and consulted by educators, professionals and enthusiasts at home and abroad. With a focus on applied scholarship that honors the past and creates a life for the history in the present while looking to the future, Sherry used the findings from her master's thesis to construct the foundation of her work and professional identity. 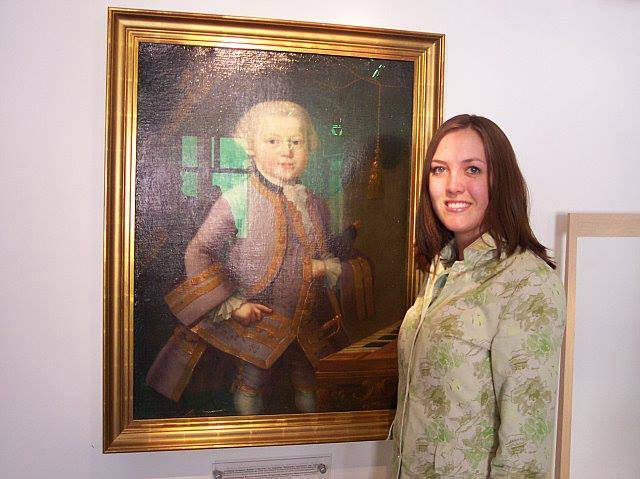 As one of only two individuals (aside from her twin sister Sheryl) to identify as a Music Heritage Preservationist, Sherry works to create awareness of Mozart's musical, historical and cultural significance to cultivate sustainability through appreciation and patronage. The strategy and methodology for the communication of music and its social, biographical, cultural and historical contexts. The anthropology and social psychology of audiences and reception studies. The indelible role of the human experience in preservation practice. The encouragement of historically-informed performance as well as the creation of new music inspired by historical genres and eras. The advocacy and restoration of music history's built heritage. The medium of film as an avenue for broader distribution and audience development. The organization of exhibits, events and programs to create public access. The direct engagement of artists and their families and friends in preservation initiatives. The value of cultural diplomacy from acts of music and the preservation of its heritage.